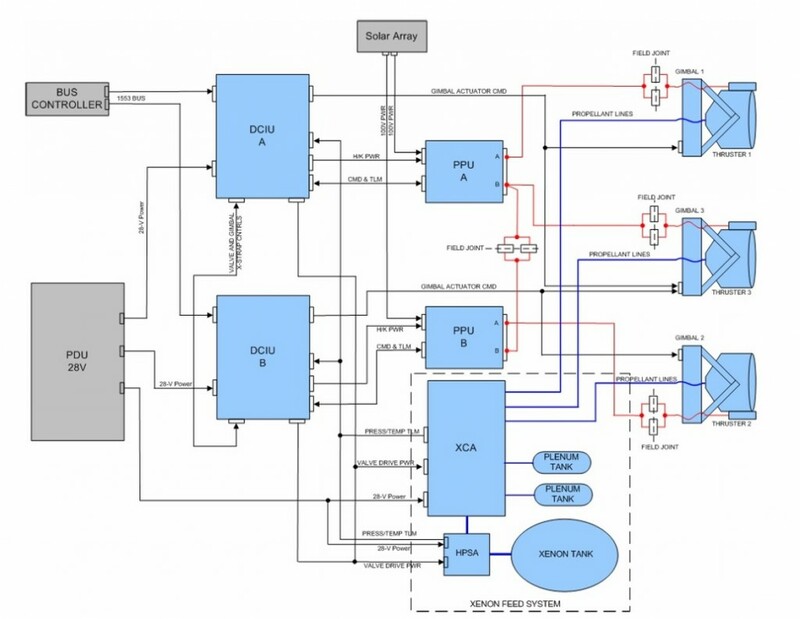 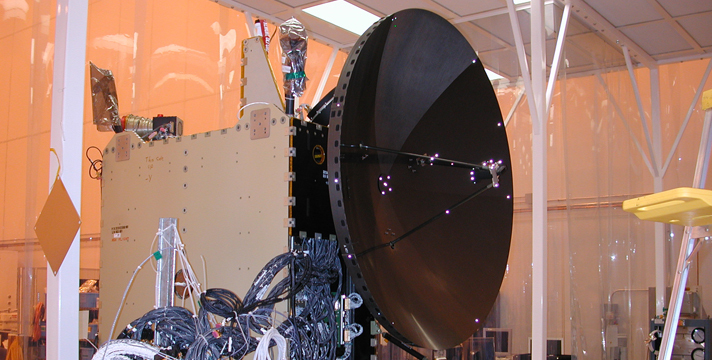 Attitude control is primarily provided by a Reaction Wheel Assembly. 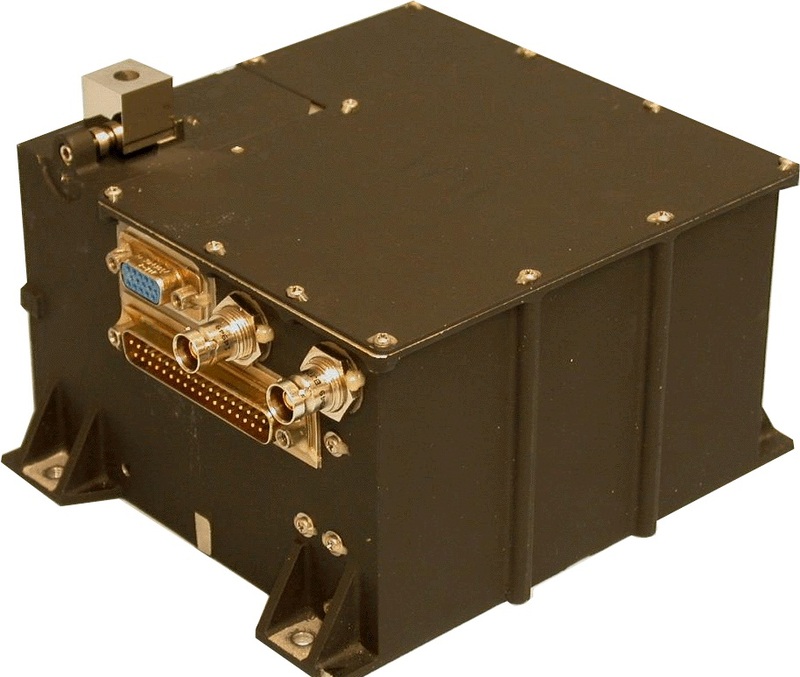 The RWA consists of four wheels to achieve three-axis control with built-in redundancy and a Wheel Drive Electronics Box that has one dedicated channel for each wheel. 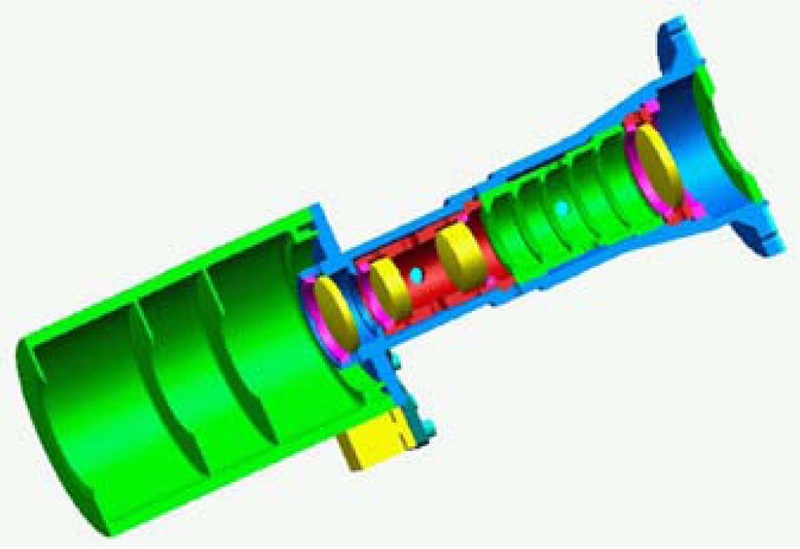 The reaction wheel assembly is a rotating inertial mass – when accelerating the wheel, the satellite body to which the wheels are directly attached will rotate to the opposite direction as a result of the introduced counter torque. 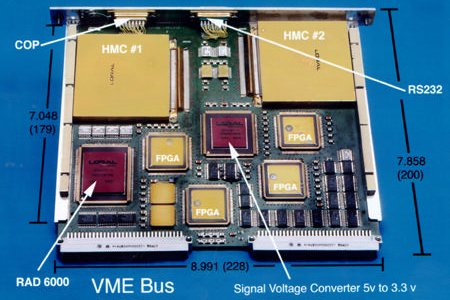 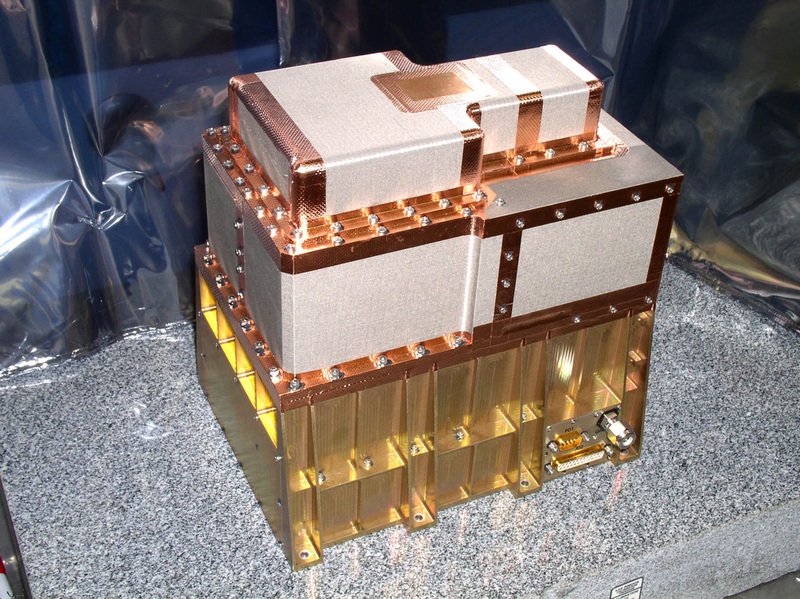 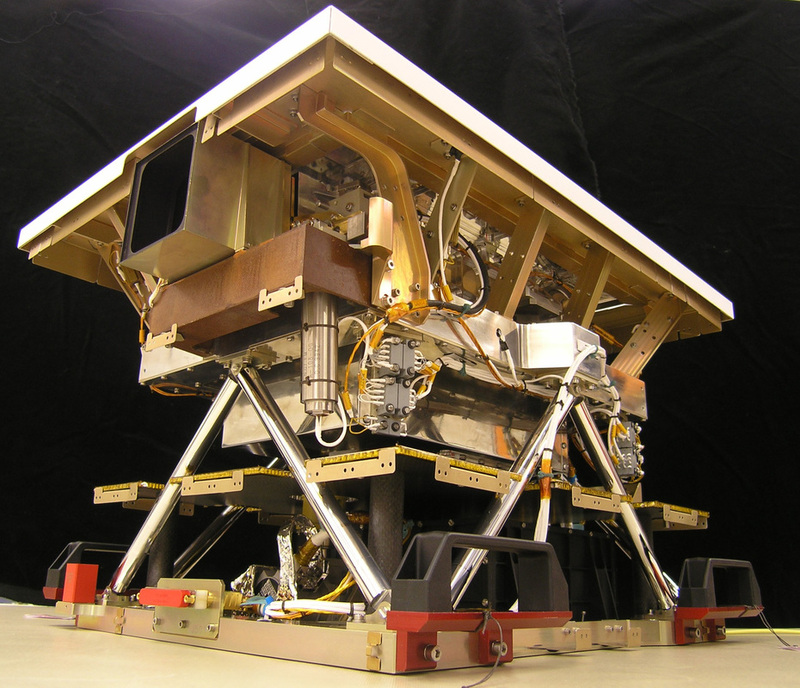 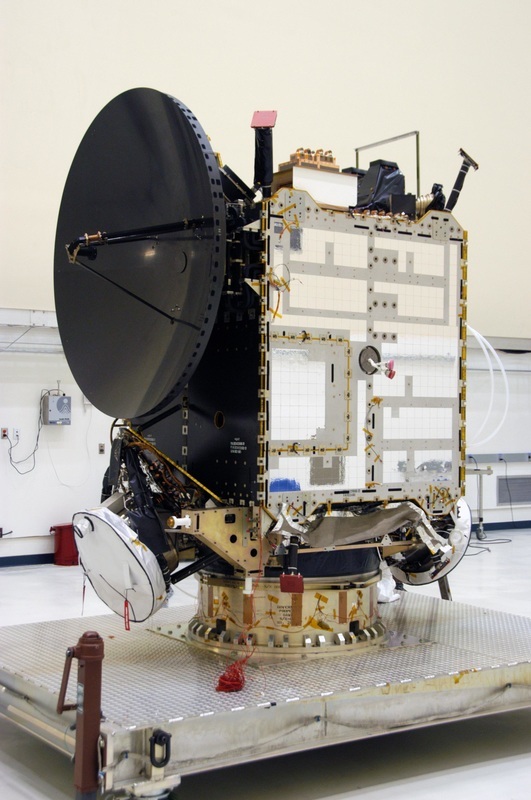 Dawn’s VIR instrument is a successor to the VIRTIS – Visible and Infrared Mapping Spectrometer of the Rosetta and Venus Express spacecraft and also includes heritage of the Visible and Infrared Mapping Spectrometer of the Cassini orbiter studying Saturn. 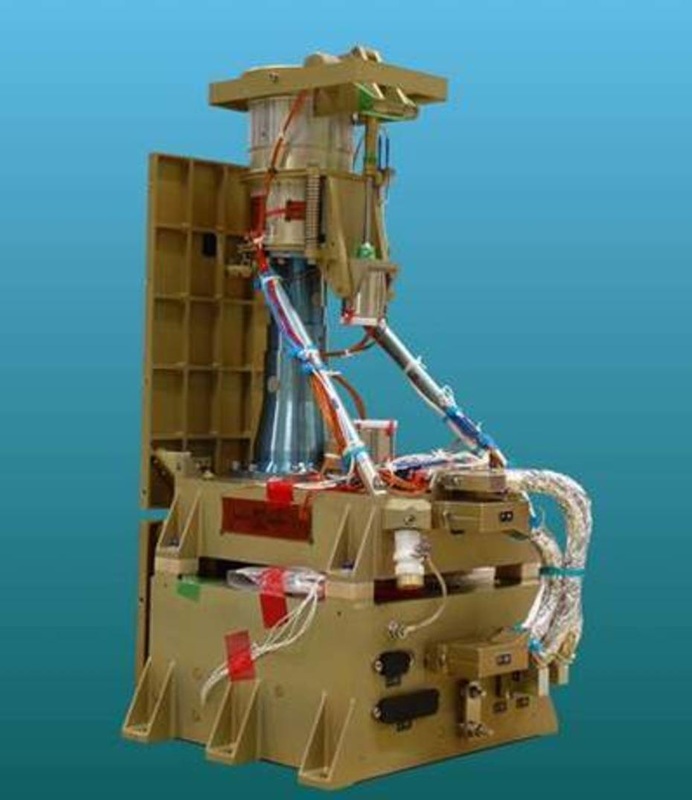 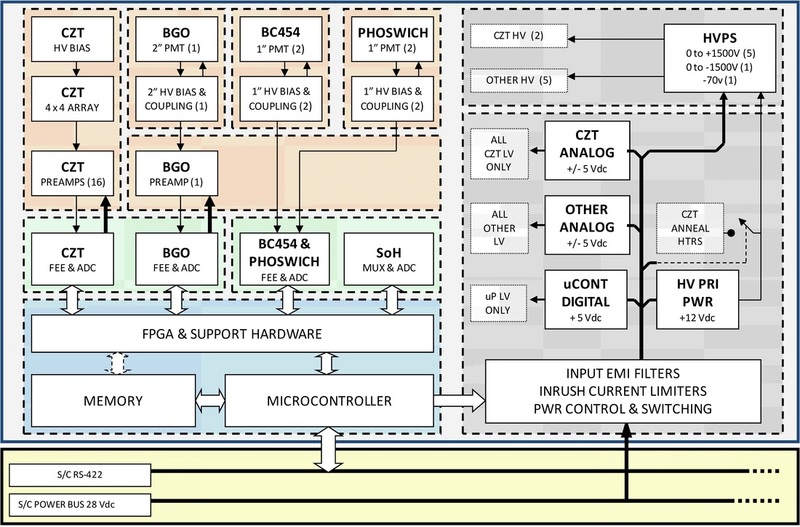 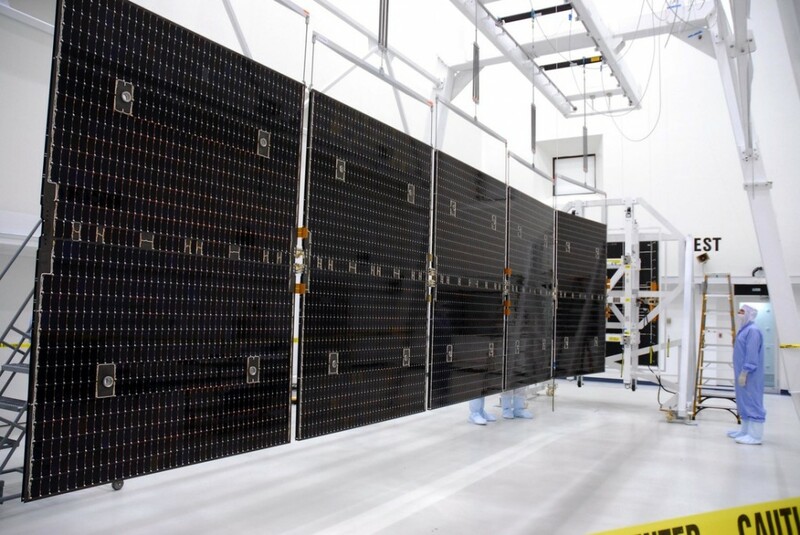 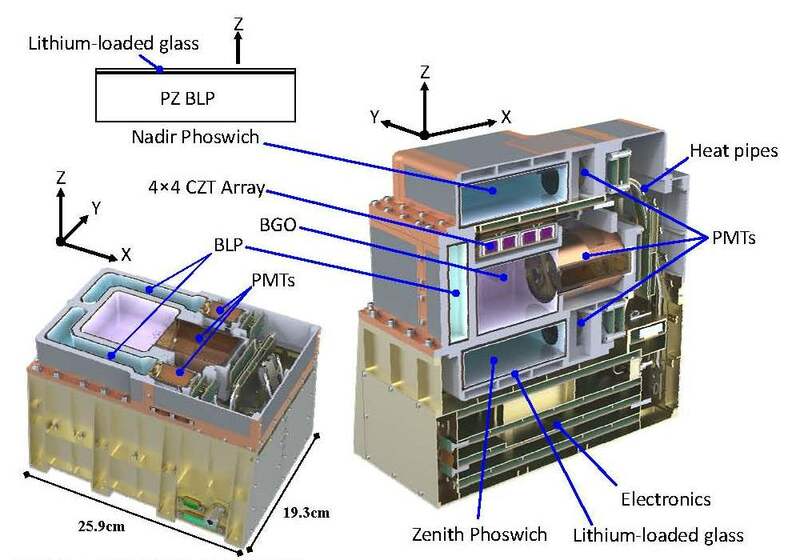 The VIR instrument generates spectral frames of 256 (spatial) by 432 (spectral) covering a wavelength range of 250nm to 5μm by using two separate channels and detectors. 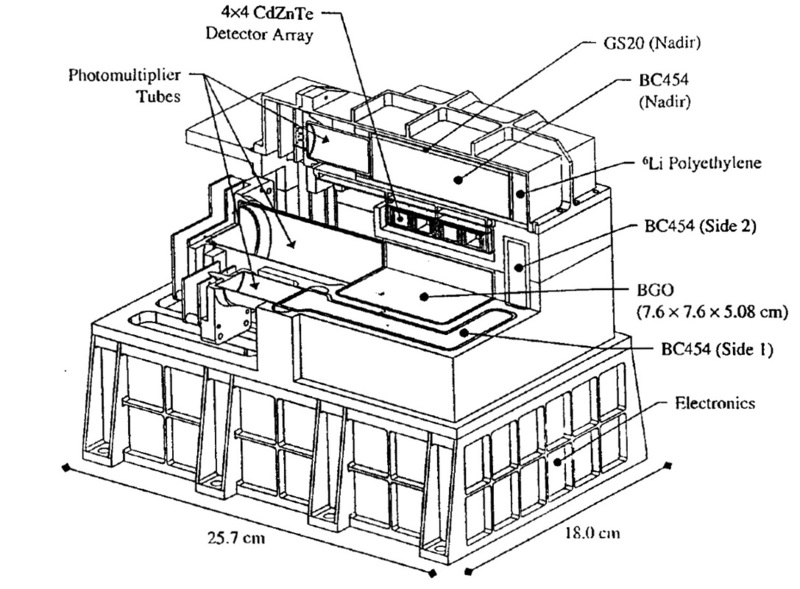 The inner 30% of the grating are ruled with a higher groove density to achieve the required spectral resolution for the visible light channel while the outer 70% use a lower groove density to generate the appropriate resolution across the broad infrared spectral range – corresponding to 70% of light intensity entering the instrument that is directed into the infrared channel. 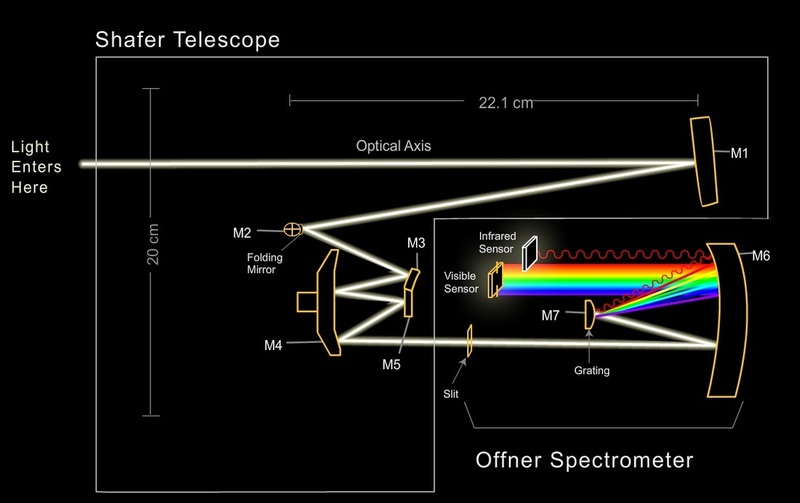 The larger collecting area in the infrared channel compensates for the lower solar irradiance in that spectral band. 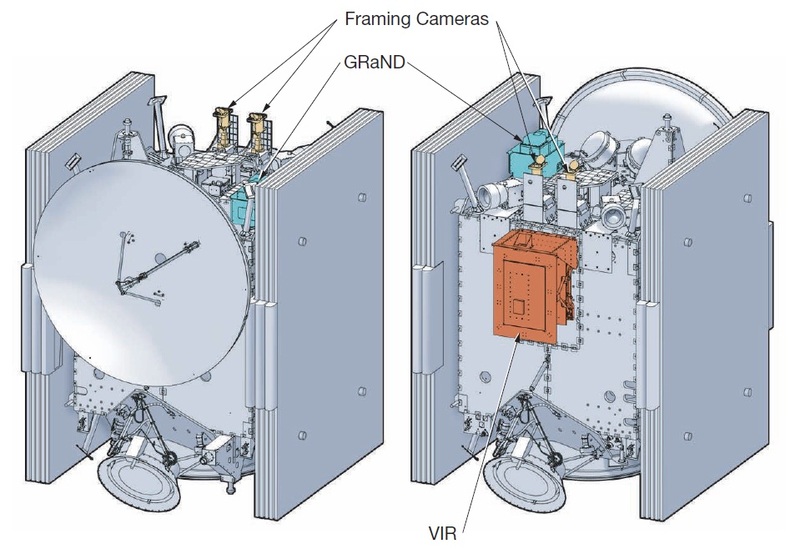 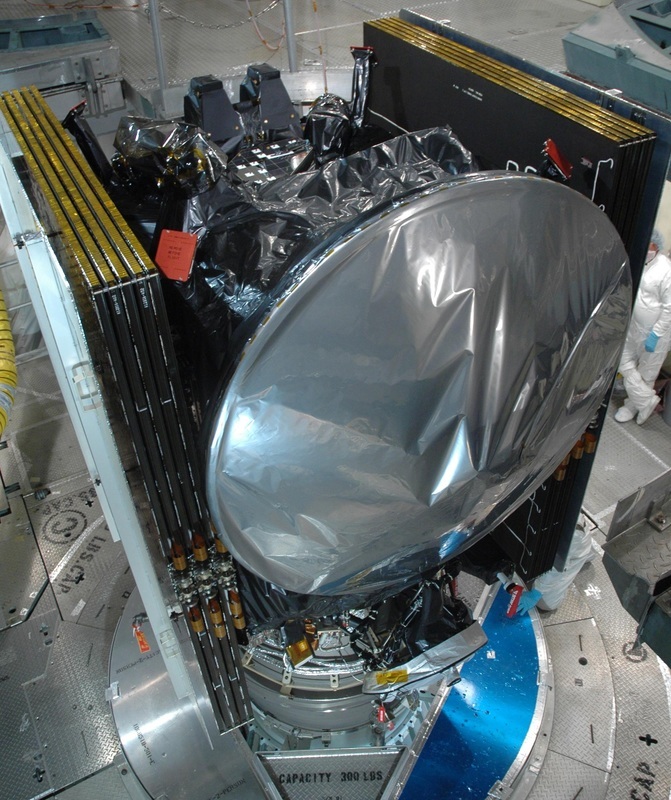 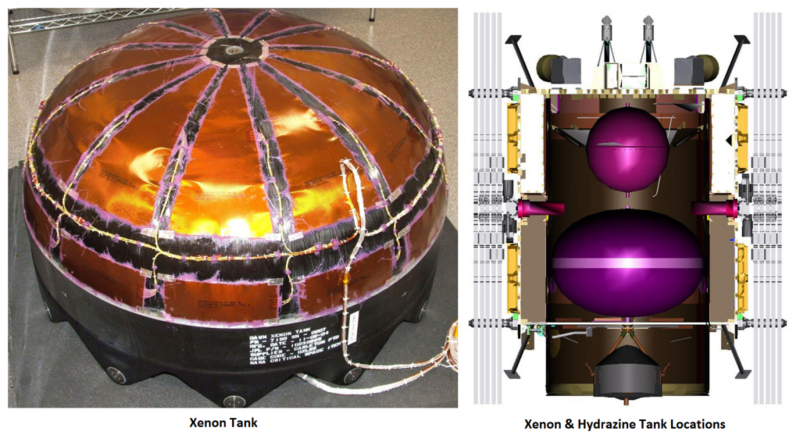 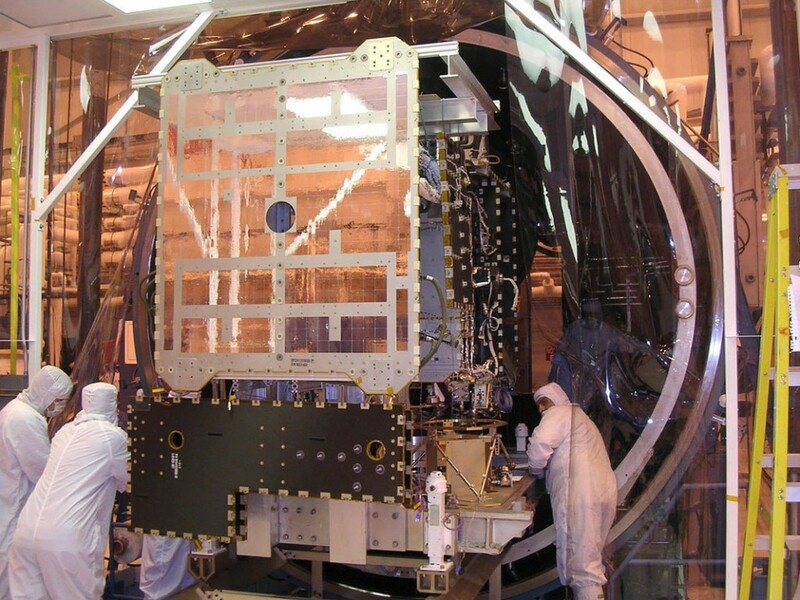 After being dispersed, the radiation is refocused by a convex mirror that directs the visible and infrared portions of the spectrum to their dedicated detectors. The seven filters have passband widths between 36 and 85 nanometers with central wavelengths of 438 (blue), 555 (green), 653nm (red) for full-color RGB imaging and 749, 829, 917 and 965nm for near-infrared spectroscopic imaging. 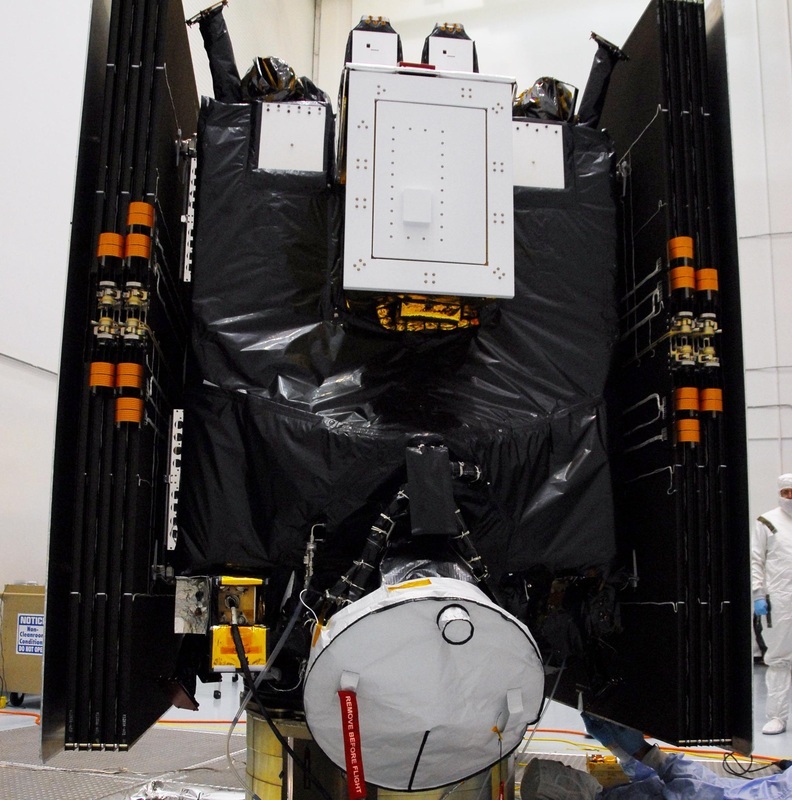 The filters allow spectral imaging to support the examination of the asteroid’s composition and surface properties. 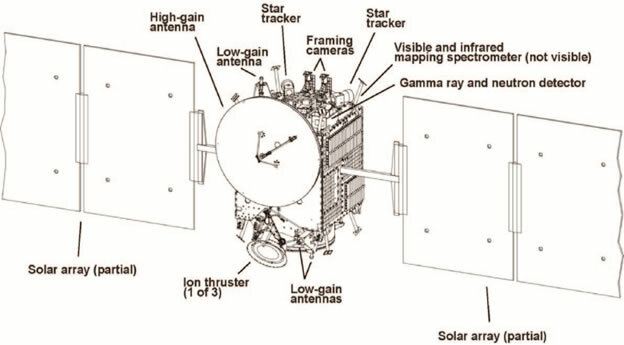 The first long-term cruise propulsion phase lasted nearly 11 months and ended in October 2008 with a trajectory correction maneuver using the Hydrazine thrusters taking place the next months to set the spacecraft up for a gravity assist of Mars that occurred in February 2009 when the spacecraft came as close as 549 Kilometers to the planet which was used as a welcome opportunity to exercise the craft’s instrument package. 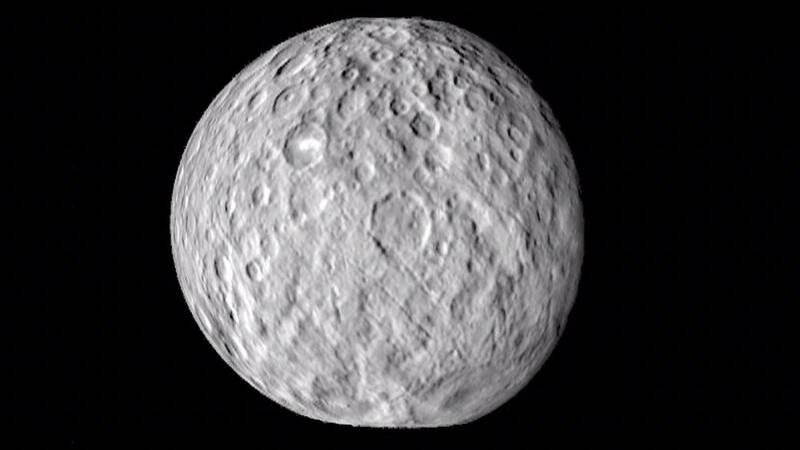 Arriving on July 16, 2011, Dawn was successfully captured in an orbit around Vesta that is about 525 Kilometers in diameter. 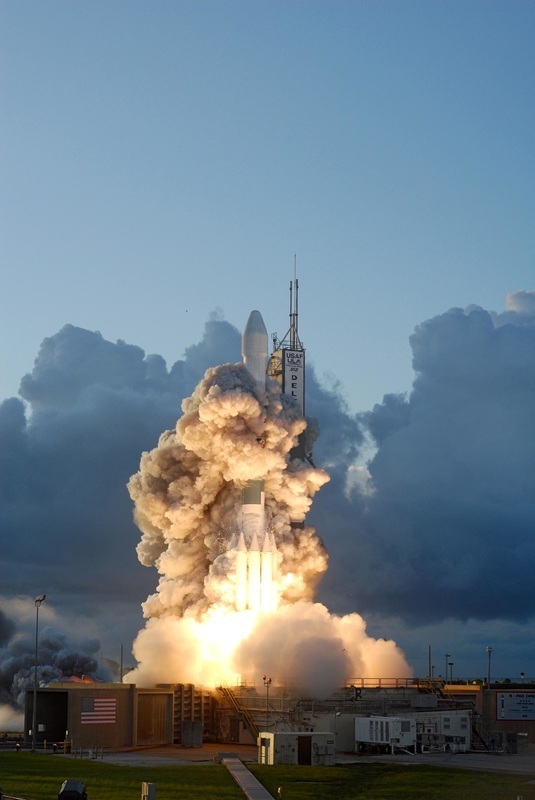 Since Dawn was arriving at a largely unknown world, the timing of its orbital insertion could not be calculated precisely because Vesta’s mass properties had not been known yet. 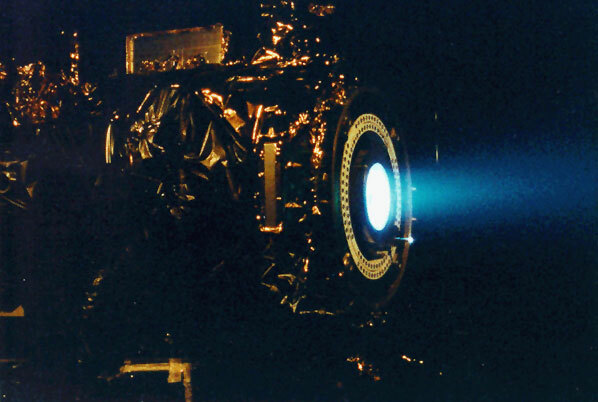 It took more than one day to confirm whether Dawn had entered orbit as the spacecraft was not pointing its antenna toward Earth during the operation of its ion engines and had to re-orient once the maneuver was complete to check in with Earth. 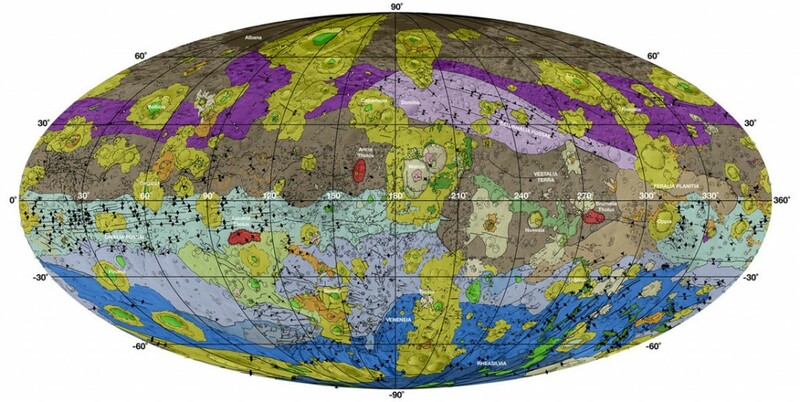 Dawn’s study of Vesta revealed its surface composition, geologic features, internal structure and a number of other properties that were of great interest to scientists. 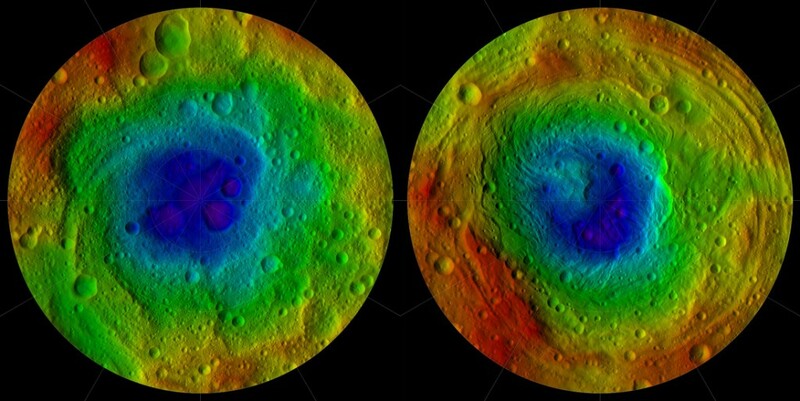 One item of particular interest was an abundance of crevasses on the surface of Vesta that scientists believe originated as the result of flowing water on the surface of Vesta that was present in at least one stage of Vesta’s evolution. 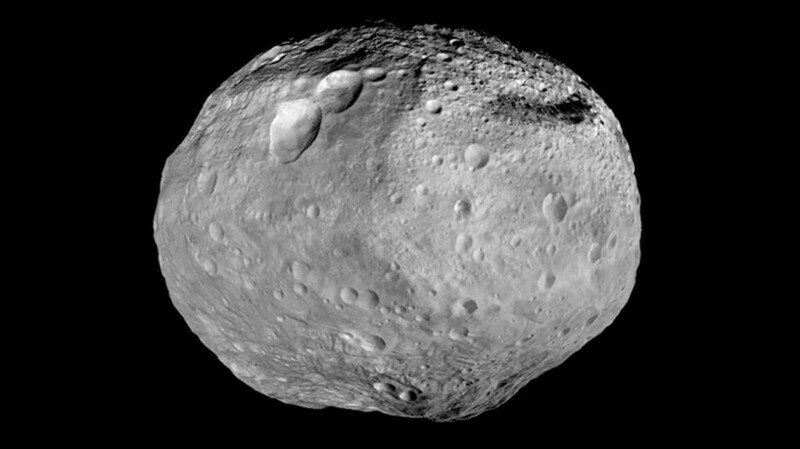 Scientists also hypothesize that Vesta is likely one of the last remaining examples of the large planetoids that formed the rocky planets of the inner solar system through collisions of multiple planetoid bodies. 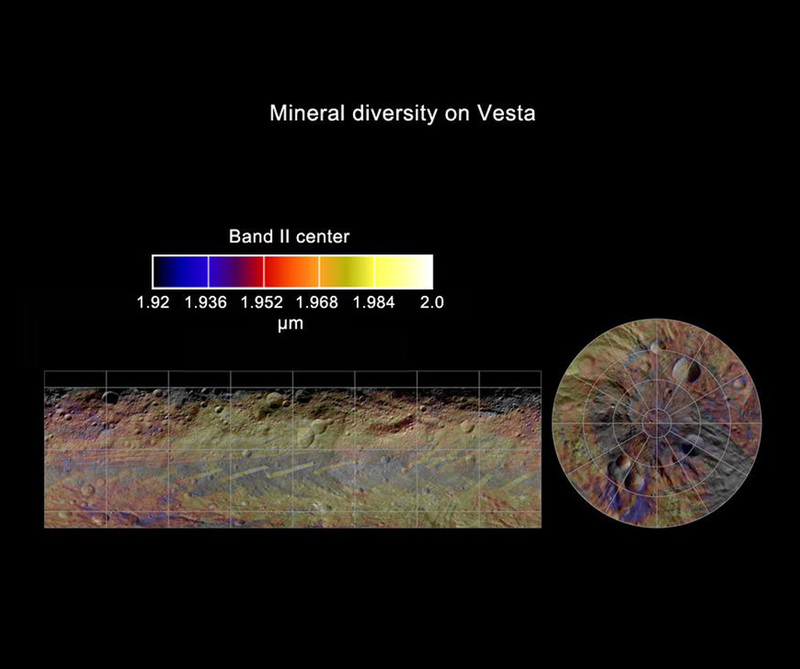 Dawn also provided insight into the origin of dark streaks and spots on the surface of Vesta that were caused by ancient asteroid impacts. 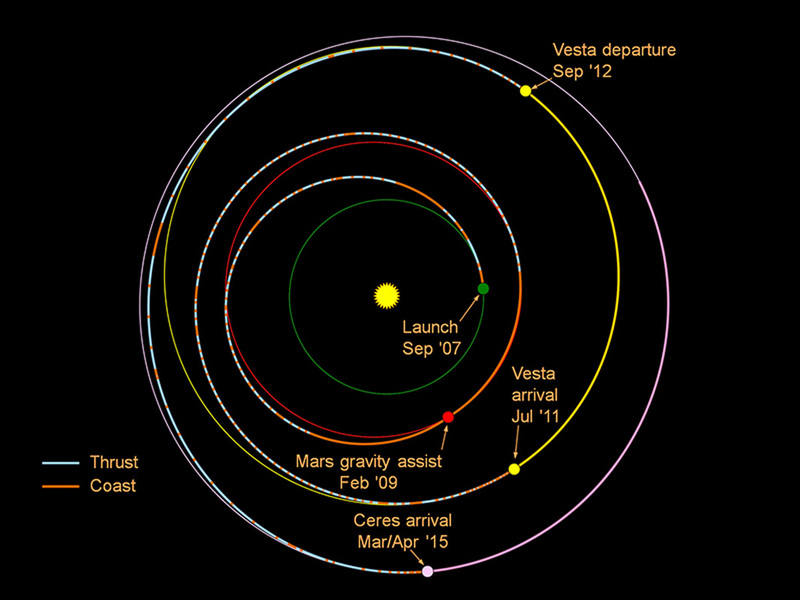 Departing Vesta, Dawn again started a long-term propulsion phase to transition from Vesta’s 2.15 by 2.57-AU orbit to the orbit of Ceres at 2.56 by 2.97 Astronomical Units. 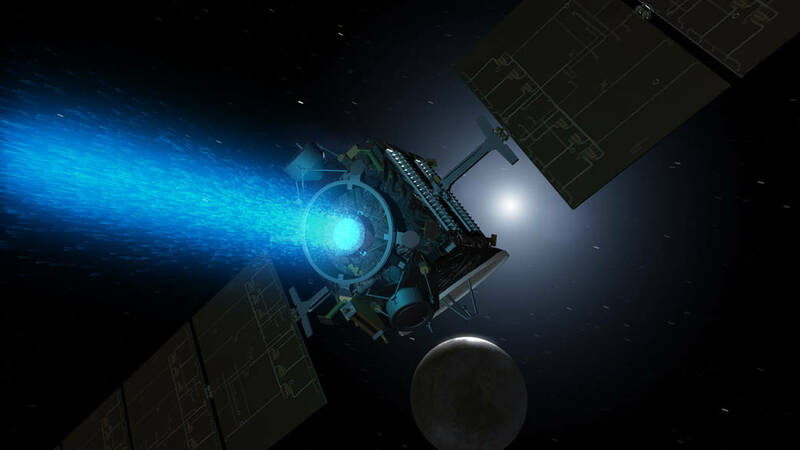 With Dawn on the move, teams on Earth worked out how to best deal with the spacecraft’s partially failed reaction wheel system, developing a hybrid attitude mode in which the remaining wheels will be used in combination with the liquid-fueled thrusters when arriving in the mapping orbit at Ceres. 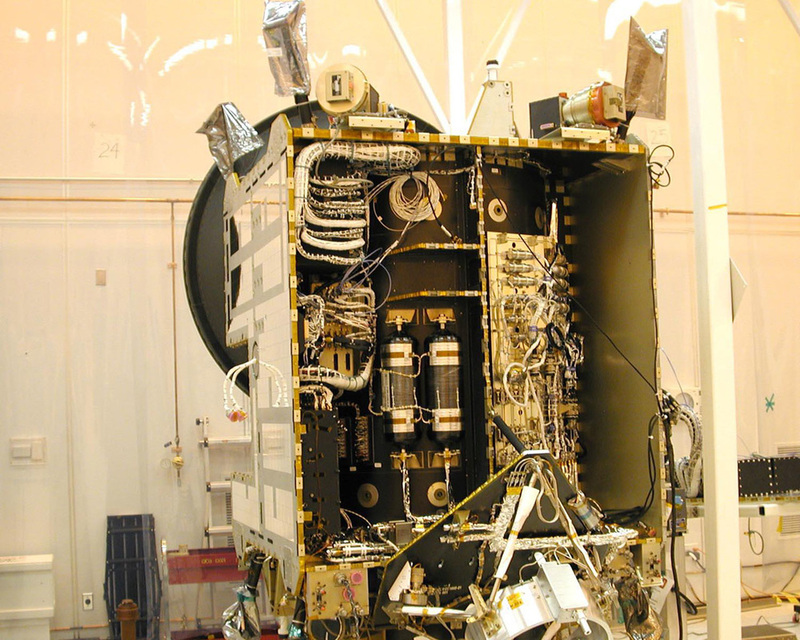 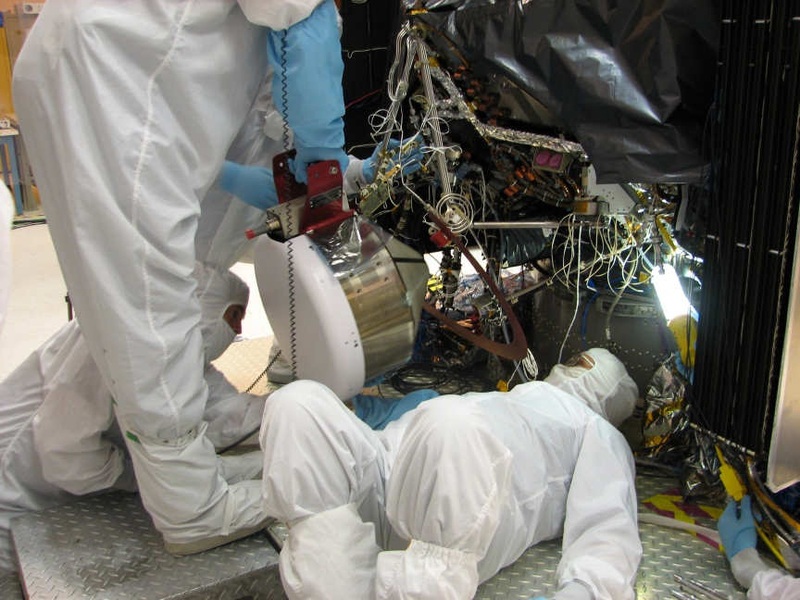 Teams also had to deal with a computer re-start to rectify an issue with the main antenna of the spacecraft and in September 2014, one of the ion engines stopped working and Dawn headed into safe mode, requiring teams on Earth to make quick work transitioning to a different engine to keep the gap in propulsion as short as possible. 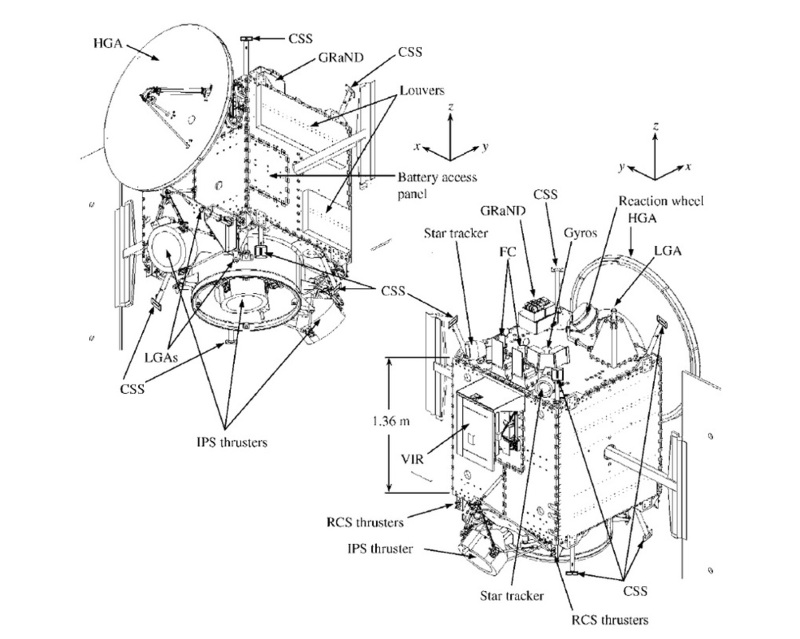 Early in the approach, images from Dawn showed the bright spot already seen by Hubble, but Dawn’s photos showed that there was a companion to the bright spot, residing in the same crater. 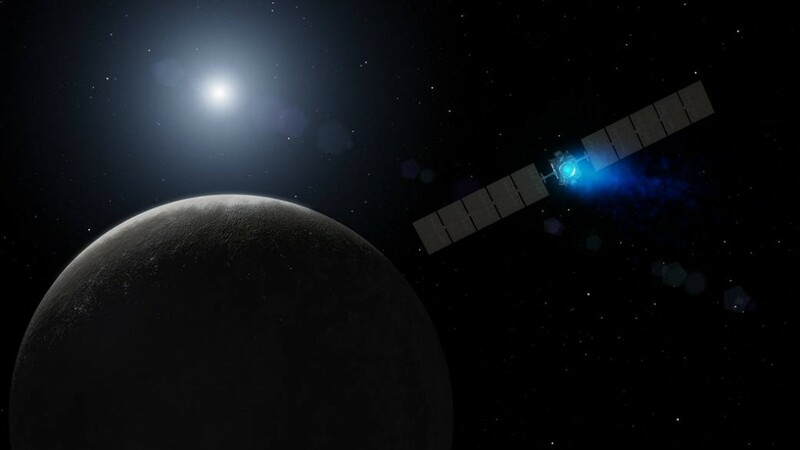 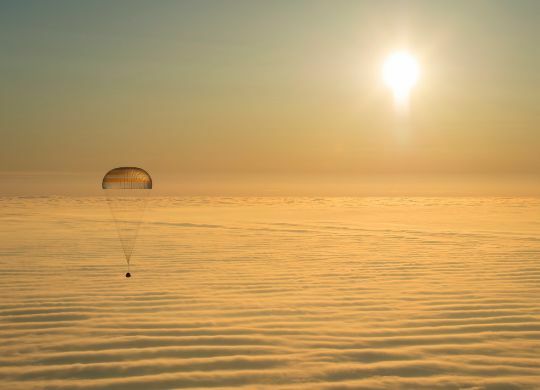 Dawn was captured by the dwarf planet’s gravity at 12:39 UTC on Friday when it was at a distance of 61,000 Kilometers, marking the craft’s arrival after a journey of 4.9 billion Kilometers. 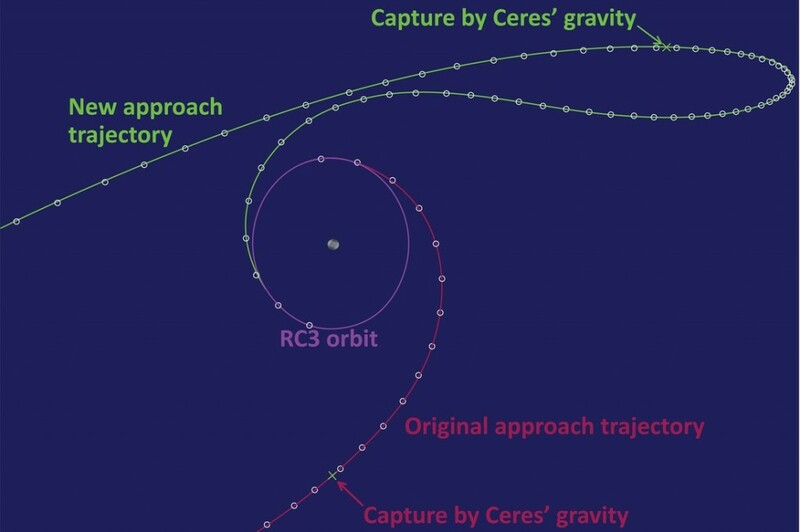 It is now the first spacecraft ever to visit a dwarf planet and enter orbit around two different celestial bodies.